February brings another opportunity for winter fun — and a four-day weekend smack in the middle of the month! Presidents Day is Feb. 18, and whether you have to work all day or are just plain out of ideas, we’ve got you covered. There are a number of day camps and fun activities to keep your kids busy when school’s out! Reserve your spot for Presidents Day Camp (ages 6-12) by buying your ticket online at the link below or call us at 513-739-5528 to reserve. Space is limited! Only $35. To buy tickets online, follow this link: https://usanccincy.ticketbud.com/president-day-ninja-camp. Save time by filling out the waiver online ahead of time. When school is out, the J is in! We offer School Break Camps and Snow Day Camps when many area schools are not in session. Bring the kids for a fun day of swimming, sports, arts and crafts, and more! Don’t forget to pack a swimsuit, lunch, and towel! For grades K-6. Make syrup from sap and have fun with friends, just like native people did at sugar camps in the maple woods. We’ll hunt for maple trees, tap them for sap, watch it boil down over a hot fire, and taste the syrupy goodness. Make a Native American themed craft to take home and visit with our animal friends. Play games from long ago, explore in the woods, and end the day inside with songs and stories around the fire. Fee $25 per child. Register online before Feb. 14 at https://explorenature.regfox.com/holidaybkcamps. Email [email protected] or call 513-231-8678 for more information and to inquire for availability of camp slots after this time. Join us for camp on Presidents Day from 9 am to 4 pm at Terwilliger Lodge. This camp is for ages 7-12 and is $48 per child. Work together and compete against friends and City of Montgomery stage during a day of fun activities. The day will begin at Terwilliger Lodge and then the group will travel by bus to Adrenaline Trampoline Park, returning to Terwilliger Lodge for lunch and afternoon activities. Cost includes a day of adventure and fun: admission to the trampoline park, pizza and chips for lunch, plus drinks and a snack. More information can be found here. Call 513-891-2424 or email [email protected] for information on how to register. Celebrate this day with a class for kids about the sweet tradition of maple sugaring. We will see a movie, take a hike, taste some yummy maple syrup and more! Program us $7.50, at the door. Pining for a little road trip? The Children’s Museum of Indianapolis is offering FREE admission on President’s Day! Lace up your skates for the final day of the season! Admission and skate rental is just $5. Open special hours on President’s Day — 1-5 pm — with $6 admission. Skate rental extra. Enjoy expanded hours on Presidents Day! If you’re just over the cold, enjoy a day indoors at Newport Aquarium! Right now, it’s their annual Winter Family Days promotion, where kids get in FREE with a paying adult. Details here. Haven’t seen the cutest parade in America yet? This is the perfect time to do so — plus, Zoo admission is half-off as part of Penguin Days! This Presidents Day weekend, journey to the jungles of India with The Children’s Theatre of Cincinnati! TCT’s Disney’s The Jungle Book Kids is a Broadway-level musical adventure your kids will absolutely love. 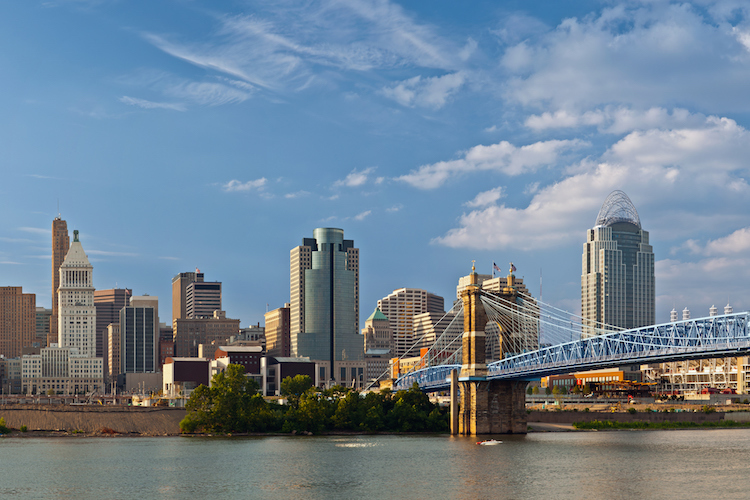 From the Science Interactives Gallery and the Dinosaur Hall to the OMNIMAX and the Duke Energy Children’s Museum, you can’t go wrong at Cincinnati Museum Center. Of course, our top pick for President’s Day Weekend is Egypt: The Time of Pharaohs. This CMC exhibit opens Feb. 15, and features more than 350 original artifacts dating back over 4,500 years, detailed models of once-lost cities and vivid interactive multimedia spaces inquisitive kids will love. Admission is $12.50 for member adults and $8.50 for member kids, a small price to pay for such a rich historical experience! For more ideas and inspiration, be sure to bookmark our Online Calendar!